Adult acquired flat foot can be caused by a variety of conditions such as damage to posterior tibial tendon, diabetic neuropathic arthropathy, arthritis and traumatic injury to the foot. Posterior tibial tendon is a structure in the foot that is responsible for holding up the arch and supporting the foot during ambulation. When this tendon is damaged, it looses its function and the arches begin to fall. The damaged tendon tends to get bigger and thicker as it tries to hold the arch up under your weight. Unfortunately, bigger and thicker tendons don’t always work very well. Inflammation around the tendon and foot ensues causing pain. Diabetic neuropathic arthropathy is a condition caused by long-term uncontrolled diabetes. The nerves in the feet get damaged and the patient does not feel pain or the foot collapsing. This condition is also termed Charcot foot. Charcot foot is usually more severe than flatfoot, in that, the foot deforms over time due to the collapse, softening and re-hardening of the bones. This severe deformity can cause high pressure points in the foot resulting in chronic non healing ulcers. This can normally be treated with custom braces and surgery. Various forms of inflammatory arthritis can also cause flatfoot. Rheumatoid arthritis, which is also an autoimmune disease, can cause severe pain and inflammation in the joints of the body. IN the foot. 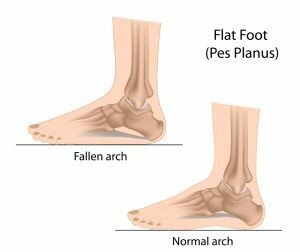 it creates erosion of the ligaments, joints and supporting structures of the arch leading to painful flatfoot. Mid-foot injuries can also create rupture of the ligaments that support the mid-foot and result in flatfoot. Several treatment options are available for flat feet. Custom made arch supports maybe useful in treating this condition. Physical therapy may help to strengthen the ligaments and tendons around the foot. There also other several surgical techniques that may be used to treat painful flatfoot conditions. 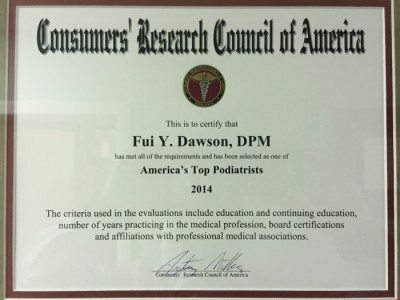 If you have a painful flatfoot condition, we are uniquely qualified to assess your foot and provide appropriate treatment for your problem. Several treatment options are available for flat feet. Custom made arch supports maybe useful in treating this condition. Physical therapy may help to strengthen the ligaments and tendons around the foot. There also other several surgical techniques that may be used to treat painful flatfoot conditions. If you have a painful flatfoot condition, we are uniquely qualified to assess your foot and provide appropriate treatment for your problem. Call our office at 678 679 3300 to schedule an appointment.